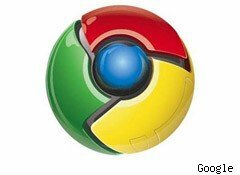 A month ago, Google (GOOG) officially launched its Chrome Web Store, a convenient and easy way to download and run applications inside Google's own Chrome browser. On Jan. 6, Apple (AAPL) is launching its Mac App Store. This will function as an extension of the popular App Store that runs out of iTunes for purchasing and downloading iPhone, iPod and iPad applications. The goal of both stores is the same: They seek to make it much, much easier to find, buy and install software. What's more, these stores should make it very easy for a user to load and run applications on any computer or transfer software licenses from machine to machine. And I, for one, can't wait. Desktop software has been one of the banes of my existence. A major, publicly traded software company has continued to try to charge me a subscription fee for its anti-virus product -- three years after I junked the computer it was installed on. Another software company requires that purchasers use not one but two sets of security codes, both of which are barely legible due to tiny, blurry print. Will App Stores Be Game Changers for PC Software? That same software company made it nearly impossible for me to install a clean version of their software, which I had purchased after the trial version ran out. I'd have gladly uninstalled both packages and reinstalled them, but I couldn't get through the phone tree or find a live person required to reset my password, which was lost (I know, dumb move, but everyone does it). This is just the tip of the iceberg. Each package has a different license, possibly paid for with an old credit card, often registered to an old email address (I've moved from AOL to Earthlink to Yahoo to Gmail). Maybe for major corporations with dedicated IT guys, managing this insanity is no big deal. For me, it's been truly horrible. Which is why the entire App Store concept on smart phones has been so delightful. The gatekeeper takes your payment details and keeps them safe. That same gatekeeper also maintains records of your purchases and lets you access those records easily -- and just as easily download those purchases again, if need be, on another computer, without digging out old paperwork or licensing keys. Ultimately, too, this will probably lead to cheaper software. I may be wrong on this, because the gatekeepers will certainly take a percentage of the pie, but I believe it could reduce the marketing costs required of software companies because the App Store model will make it much easier for potential customers to find them. It could also prove to be a great equalizer, allowing smaller companies to more easily compete against larger software companies because the distribution playing field is more level in an App Store context. Whatever the case, watch these two App Stores closely in the coming year as they could well point to the future of software on PCs for consumers.